This tamp takes on a classic shape, but evolves to solve ergonomic and aesthetic challenges of many traditional tamps. 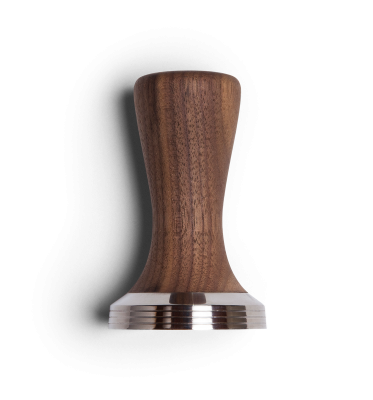 The wood to metal joint is perfectly smooth and a pleasure for your thumb to rest on. 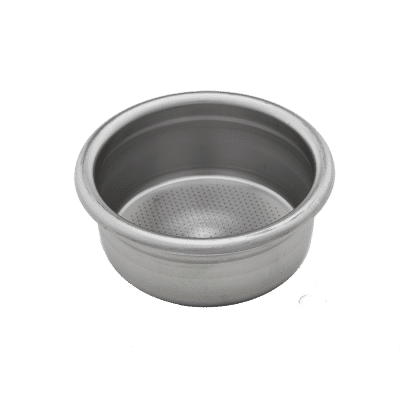 The Stainless steel base is precisely machined to 58.3 mm. 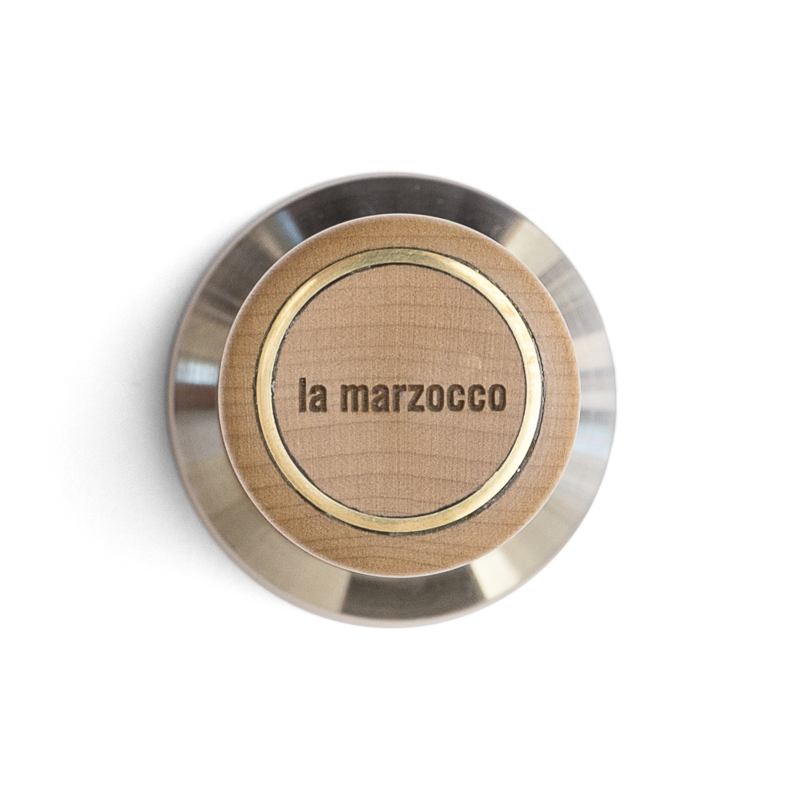 The base has a slight taper on the sides and is hand polished to a mirror finish. A natural beeswax and lemon oil finish is applied to the handle prior to the final leather buffing. 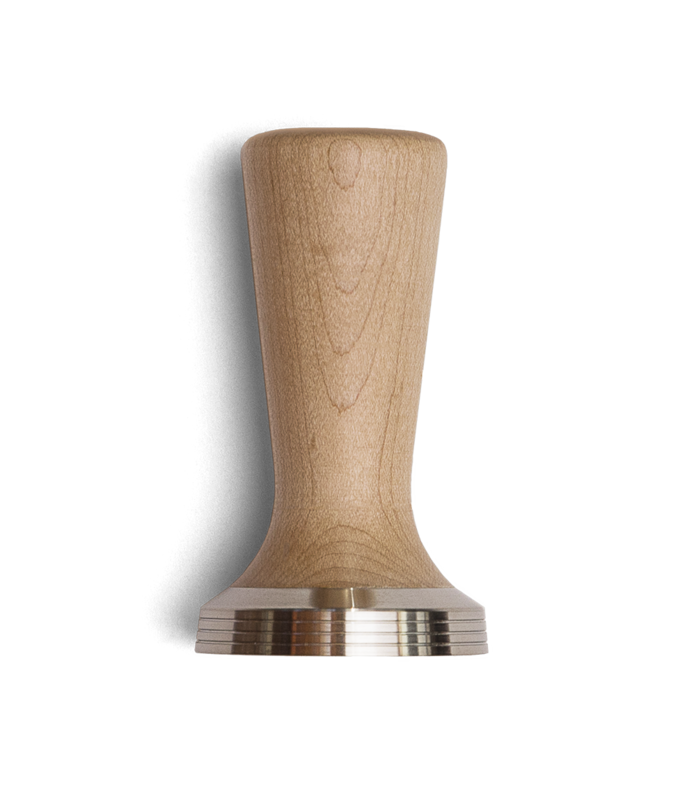 This tamper is made with all American maple. Please note that each wood finish will vary slightly due to the natural occurrences in the wood. These are handmade for us by Saint Anthony Industries based out of Salt Lake City, UT. 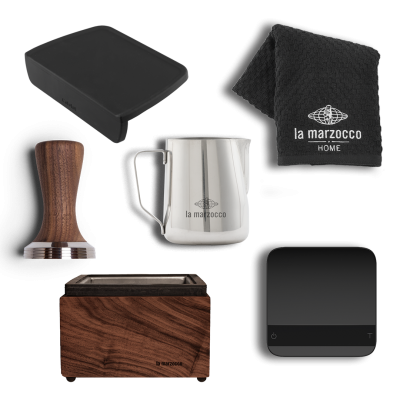 They specialize in beautifully crafted accessories for the home barista.